*Note: Evan Todd, the developer of the game, is a good friend of mine. The various modes of coverage below contain my honest opinions regardless of that fact. 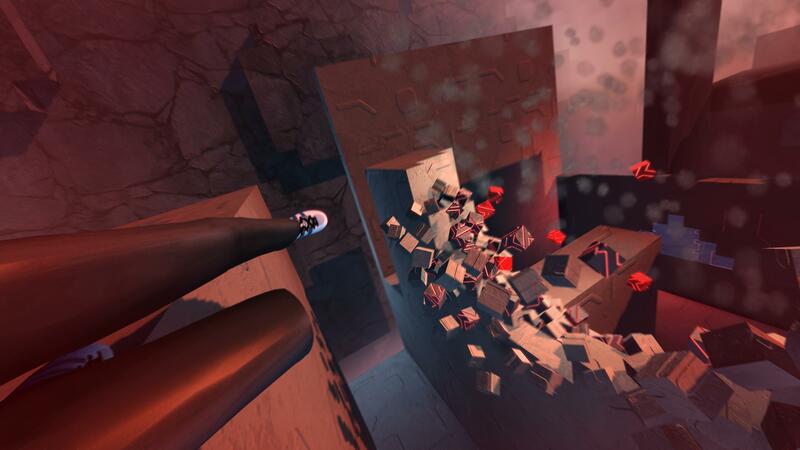 Lemma is a first-person parkour game without combat–or an explicit Christian focus. Navigating an area, seeing where you need to go next, and inputting complicated commands all at the same time is difficult even for experienced gamers. Created by Christian developer Evan Todd, Lemma’s first triumph is found in its relative simplicity. 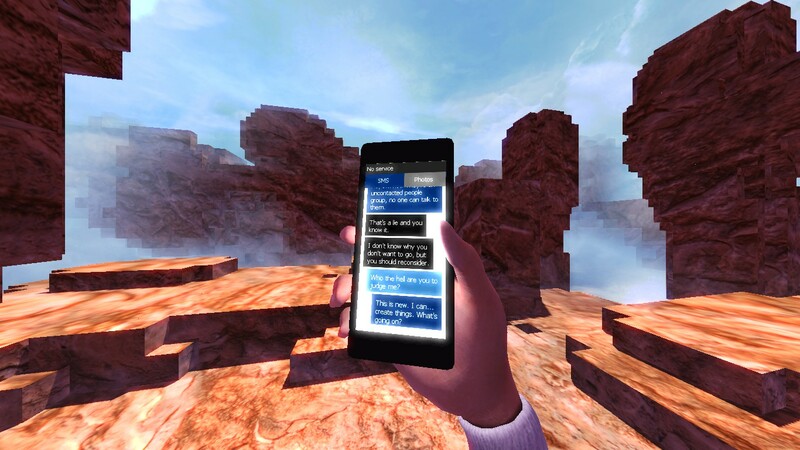 Anything you wish to do in the game can be accomplished by hitting a key or two and looking towards your goal (which is especially handy considering Lemma features Oculus Rift VR support). Want to climb an object, slide across a wall, or even create one? Just hold the Shift key on your keyboard. Want to slide, roll, or perform a jump kick? Just click the Left Mouse Button. The absence of death keeps mistakes from becoming too frustrating. If you fall, get hit by an enemy projectile, etc. you’ll simply pop back up at the last piece of stable ground you’ve reached. 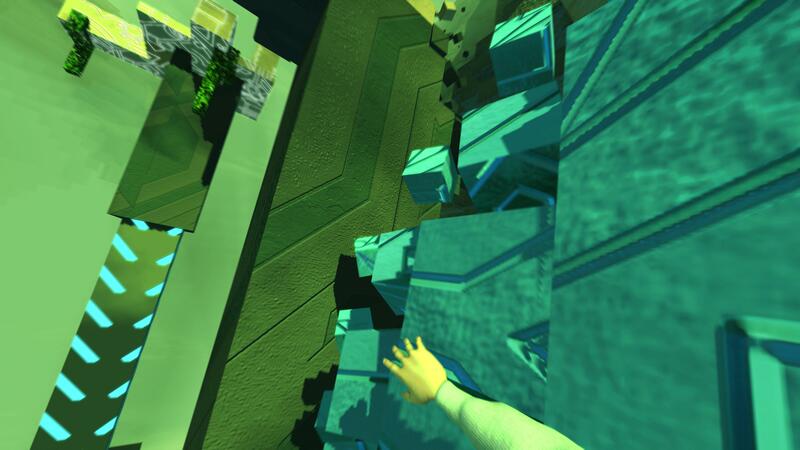 A screenshot from Lemma, captured as the player slides and creates a wall. 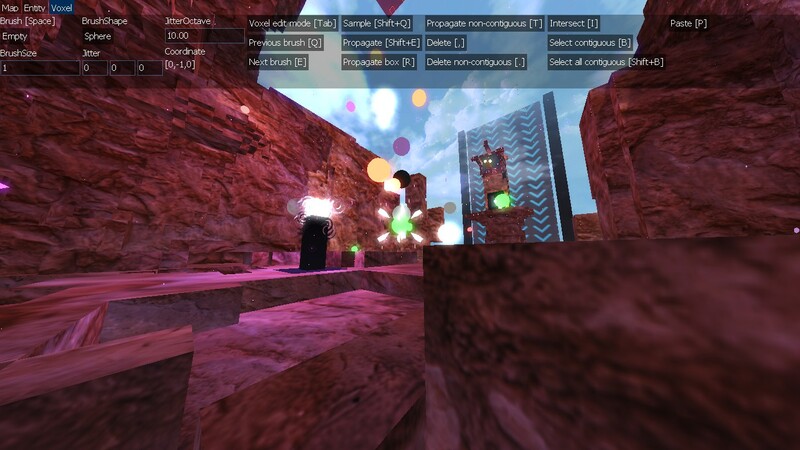 Slightly more complicated is Lemma’s fully-featured level editor, complete with Steam Workshop support. This allows you to create, download and share levels with other users through Steam. If you’re in God Mode (activated by using the Konami Code in the main menu), you can also edit levels within the campaign. The level editor in action. 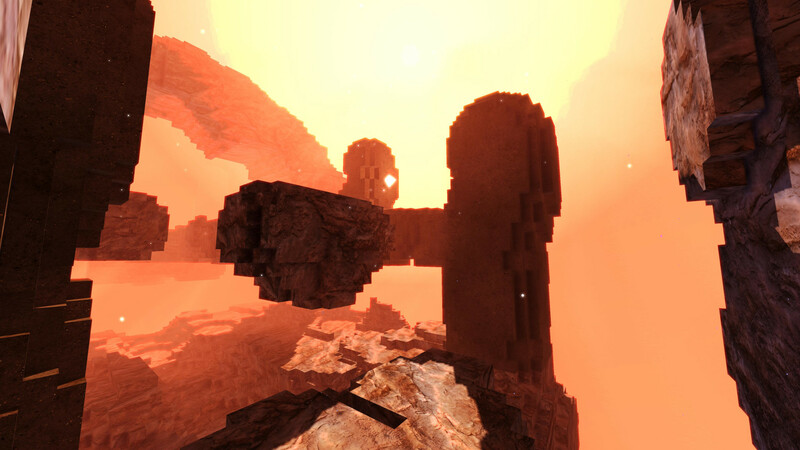 Set in an abstract, blocky dreamscape, Lemma differs from similar titles by giving players an incredible amount of freedom in how they approach the world. Players can look at almost any point in the world and reach it if they try. The fact that you’re not told to go there, or compelled by some external force (such as the promise of gold or XP), is exciting in a time where exploration in games is defined by its tedium. Go here, do that, get a small amount of compensation and a pat on the back…In Lemma, exploration is its own reward. You can go from running through humid bogs to clambering snowy pillars in moments by choosing YOUR route through the game’s humongous environments. Another screenshot from the game. The one point of contention I find with Lemma is a direct result of your freedom of movement and navigation–pacing. Much depends on your ability to decipher the environment and where you need to go quickly. This isn’t much of a problem until the world begins tearing itself apart around you in some levels, leaving no time to think or consider your next move. The lack of explicit direction in the second and third acts–when you’re dumped into sprawling, nonlinear sequences–is also a double-edged sword. Yes, it’s refreshing to be left to your own devices. However, unless you use a guide or stumble across an essential element by chance, you can get lost going in endless, increasingly frustrating circles. However, when you glide across the beautiful, impossible landscapes–dashing up, between, and under pieces of geometry just to see if you can…It’s incredible. You get lost in the sheer joy of it, and the annoyances surrounding these moments seem to melt away. Lemma is not perfect, but it is the kind of experience you don’t easily forget afterward. It serves as yet another example that Christians in gaming can glorify God through their art, and not just their words. ·The game incorporates moral choices, forcing you to kill or save several people (who have all done terrible things). These choices result in one of four endings, and decide the player character’s ultimate fate. ·The game features a “God Mode” which effectively “unlocks” the game and allows you to play in 3rd-person, edit levels from the actual campaign, etc. This entry was posted in Uncategorized and tagged Bible, christian, Christian game, Christian Games Done Right, christian gaming, christian review, christianity, Evan Todd, family-friendly, gaming, grace, indie, Interview, Jesus, KJV, Lemma, Mirror's Edge, movement, paid, parkour, PC, review, running, speed, Steam, video game, video games, video games and the Bible, Video Games and the Bible Highlights, Video Games and the Bible Live, Video Games and the Bible Reviews. Bookmark the permalink.